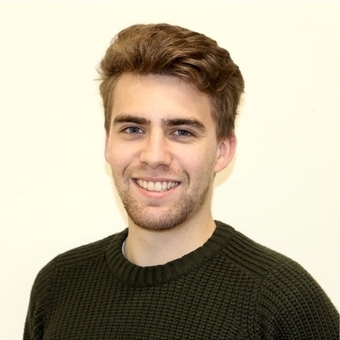 Mr Calum MacDonald is leaving his position as Laboratory Technician at the Institute of Motion Analysis & Research (IMAR) to further his education at Glasgow Caledonian University, where he will be studying MSc Physiotherapy. Calum was presented with some gifts from his TORT colleagues and friends at a small informal presentation on Friday 19 January, 2018. Calum graduated from Abertay University in 2015 where he studied sport and exercise science. Whilst studying he developed a keen interest in biomechanics and in his 3rd year set up a work placement here at IMAR at the TORT Centre working under the guidance of Dr Graham Arnold. The placement lasted for his 3rd and 4th years of university and during his time here at IMAR he was trained in all aspects of the lab environment and its systems, which has allowed him to subsequently aid students in data collection and processing. Upon graduating Calum was instantly offered a job here at IMAR as a laboratory technician where he teaches students how to use the equipment, supervises the lab/equipment, and supports lab-based research projects. The course is MSc Physiotherapy (pre-registration) at Glasgow Caledonian university and last 2 years from Jan 2018 to Jan 2020. It’s a fast track course for people who have an undergraduate degree in a health related science and at the end of the course I’ll be a chartered physiotherapist registered with the Chartered Society of Physiotherapy (CSP) and Health and Care Professions Council (HCPC) which allows me to work for the NHS or as a physio privately.